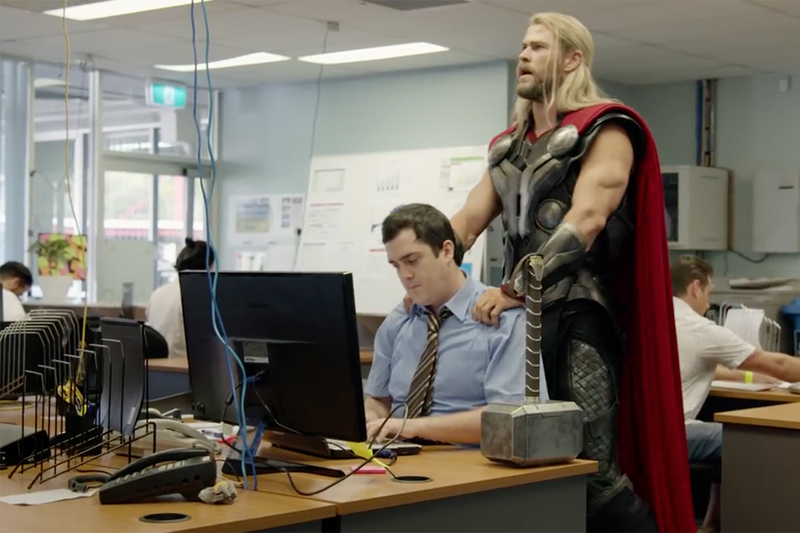 Marvel recently debuted this comedic short starring Chris Hemsworth in character as Thor, part of the promotions of the upcoming "Thor: Ragnarok" film. Here, we once again see Thor with his human roommate Daryl, engaged in some very typical roomie problems. 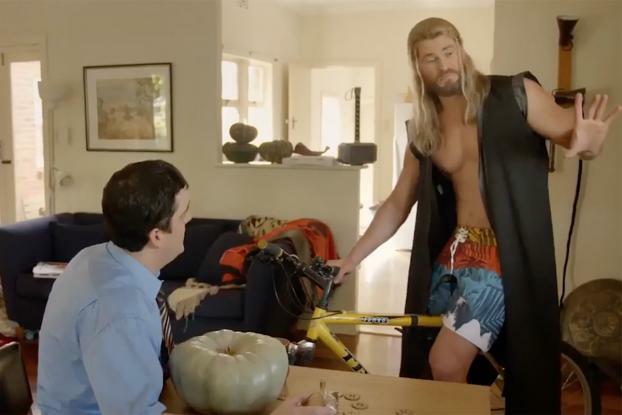 As Thor prepares to head off for a bike ride, Daryl tries to explain to him that he can't pay rent with things like pumpkins or Asgardian coins. But the latter, argues Thor, are worth "a gazillion" human dollars. The comedy continues as Daryl urges him to get a job (while Thor insists he already has one -- saving the world) and more. The film was directed by Taika Waititi, who's also helming the upcoming Thor film. Waititi is repped out of Hungry Man for commercials and has also shot spots for New Zealand Transport, Cadbury, Steinlager and more. The film continues the totally mundane misadventures of Thor and Daryl, which first kicked off last fall in another funny short that explained why the beefy hero wasn't going to appear in the "Captain America: Civil War" film.